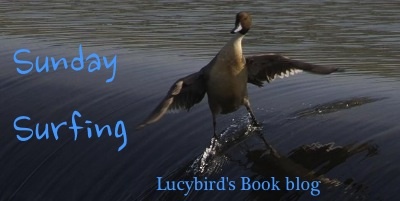 I always find something interesting in your Sunday Surfing feature, Lucy. Today I read about Polly and the wolf – great stories about an intelligent and courageous young girl I remember reading to my girls. And I believe they turned out intelligent and courageous too. I don’t know if Polly had anything to do with that! I don’t remember the feisty granny. So glad Granny was intelligent and courageous as well!